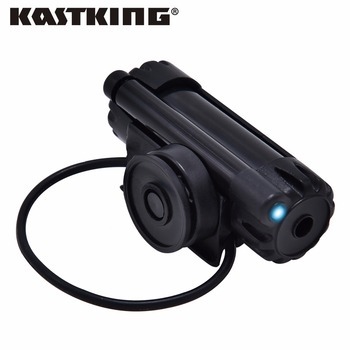 – Easy and convenient to use, no need to install, you only need to do is draw the handle. 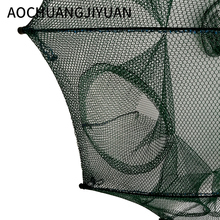 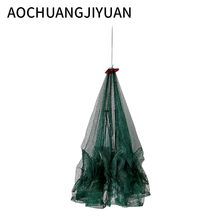 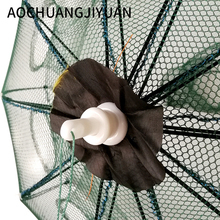 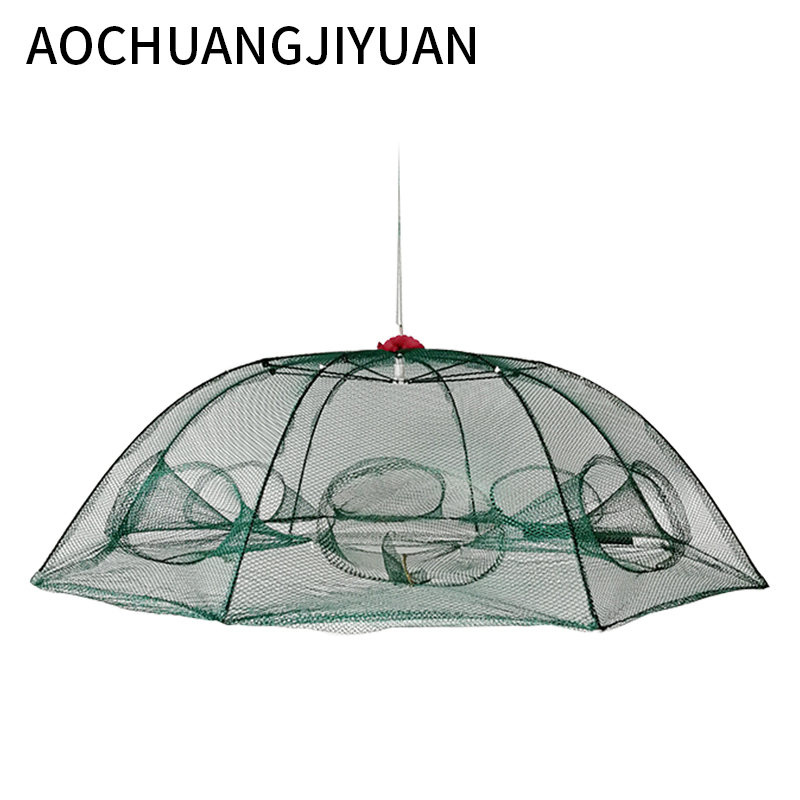 – Fishing net trap with six enter design, great for catching smelt, eels, crab, lobster, minnows, shrimp and crawfish. – Use six solid steel bar bracket and the appropriate mesh, durable and stereoscopic. 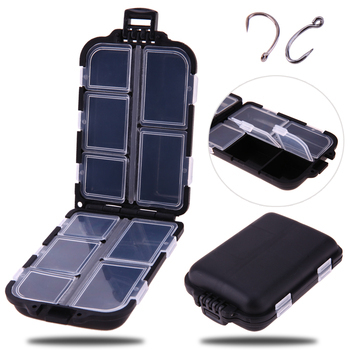 – Special double zipper design for easy take out the prey. 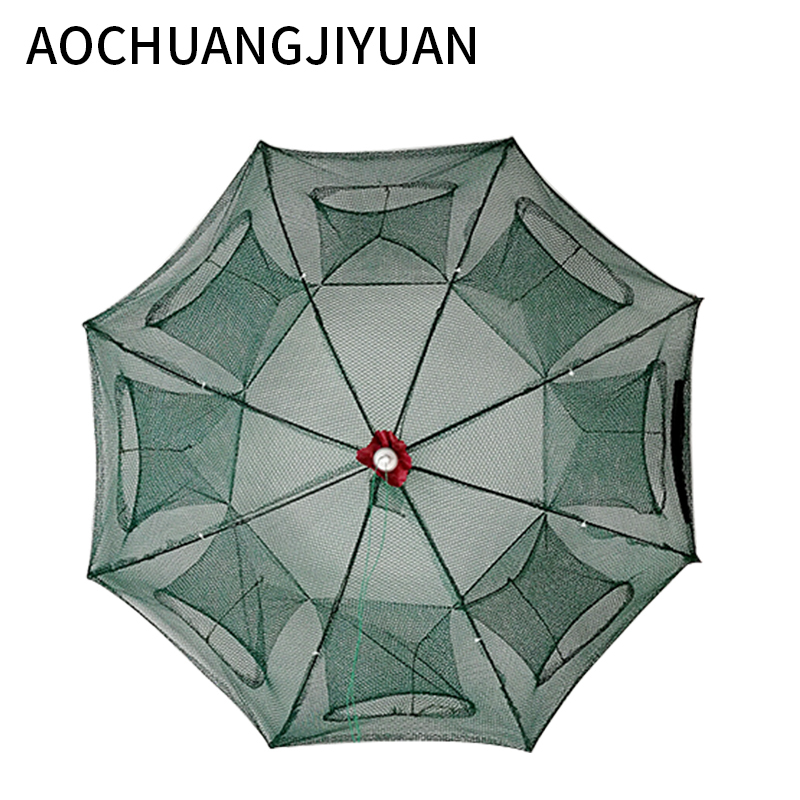 – It can be folded into a small size, lightweight and portable. 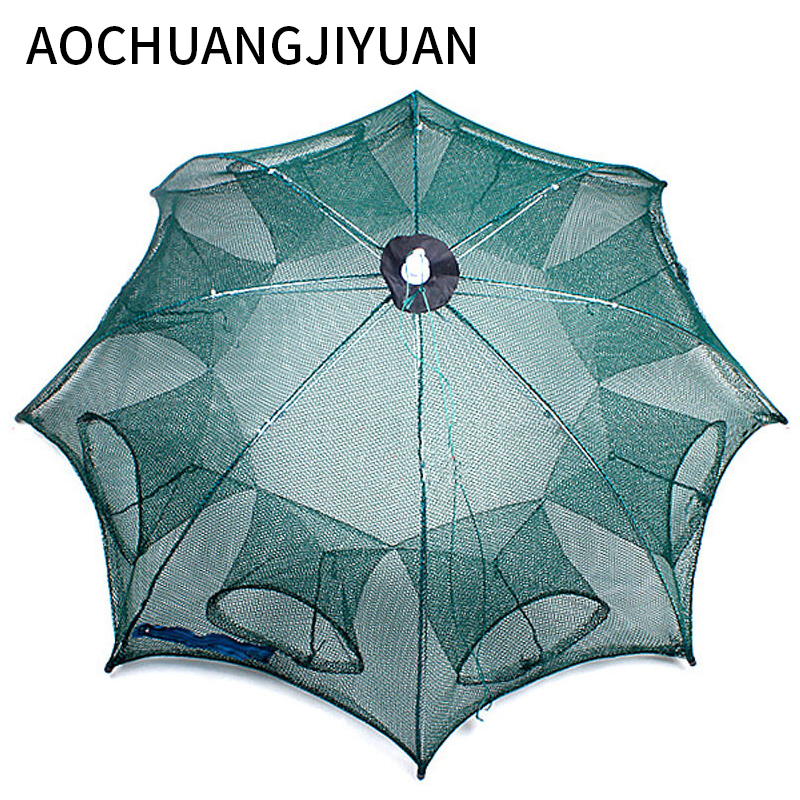 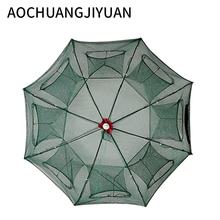 – Mesh size is 0.2 cm x 0.2 cm, every side is 87 cm long.